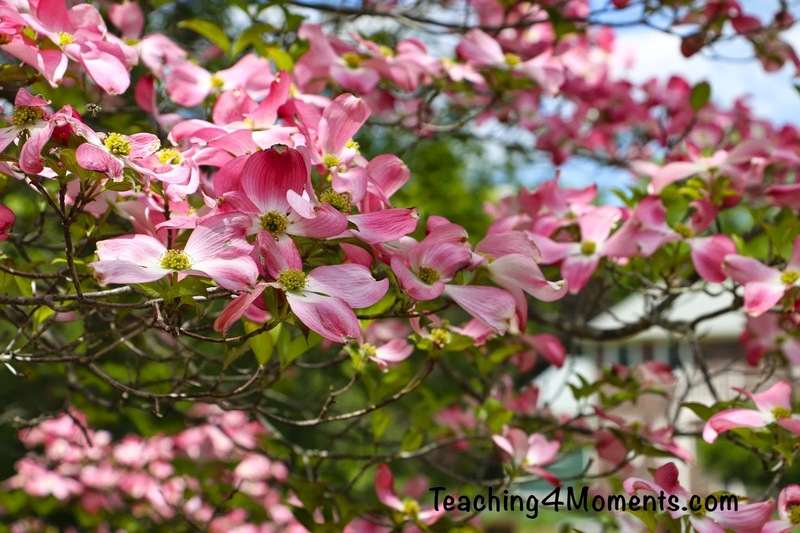 planted their crops as soon as the Dogwood bloomed. 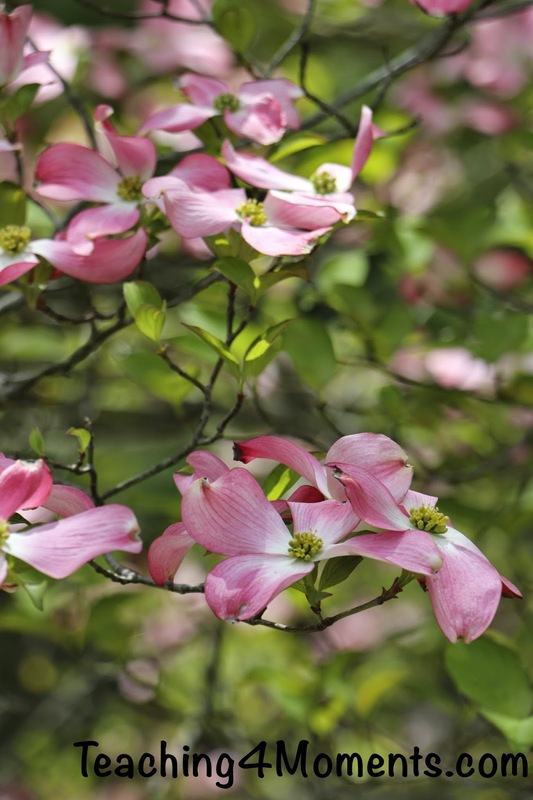 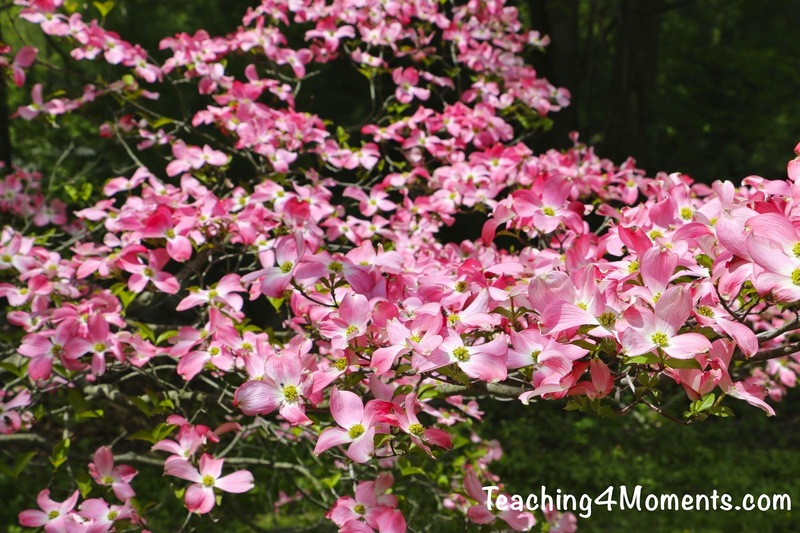 Dogwood trees can bloom in pink or white. 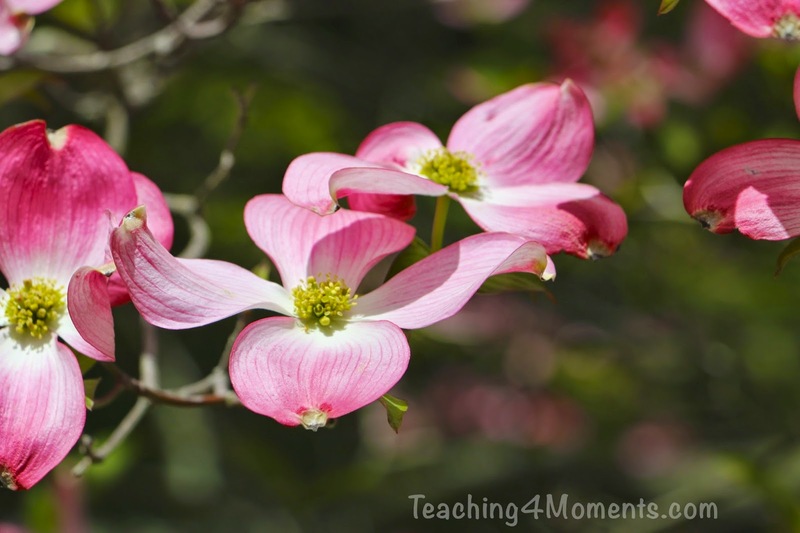 Each of these is beautiful! 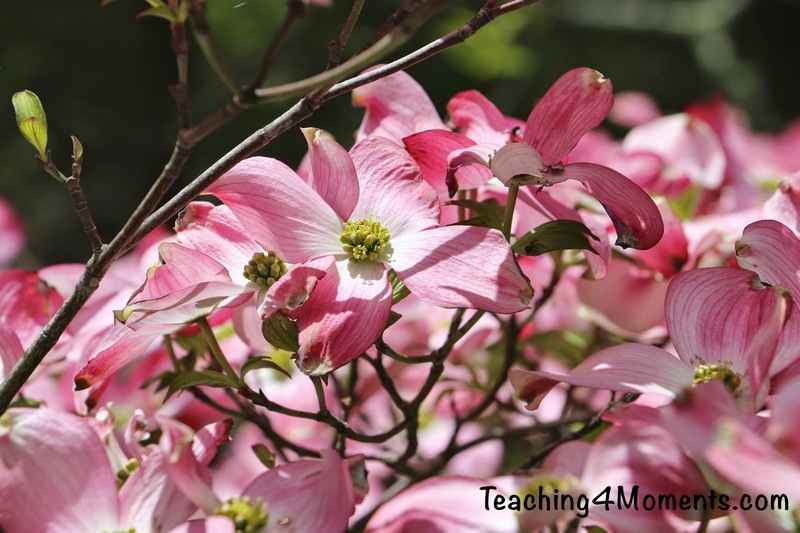 Once the flower has opened up, it will soon drop off and be replaced by green leaves throughout the summer. 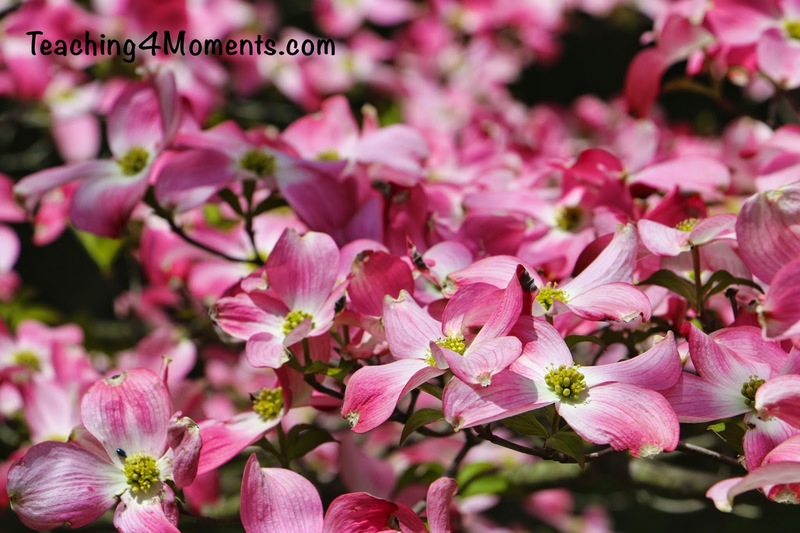 In the Fall, edible berries will show up, but they don't taste good, so I certainly wouldn't eat them! 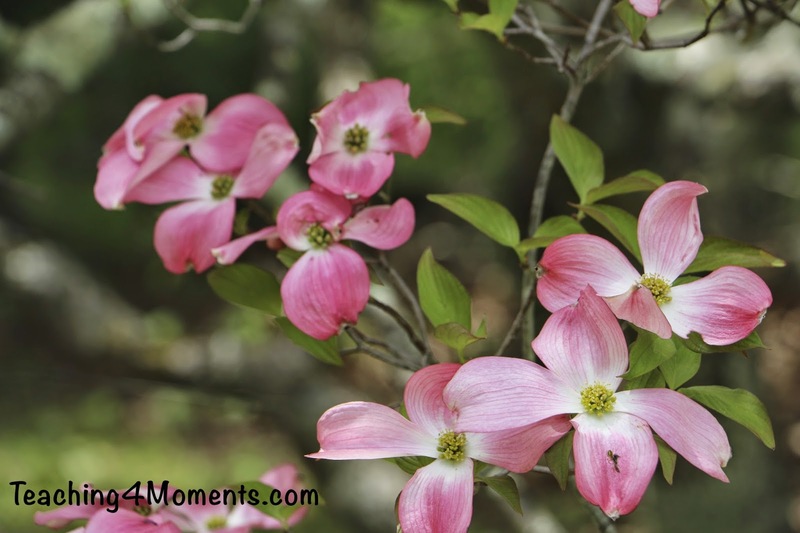 I have some gorgeous pictures of a white flowering Dogwood on a different computer, so I'll post them when I can get to them. 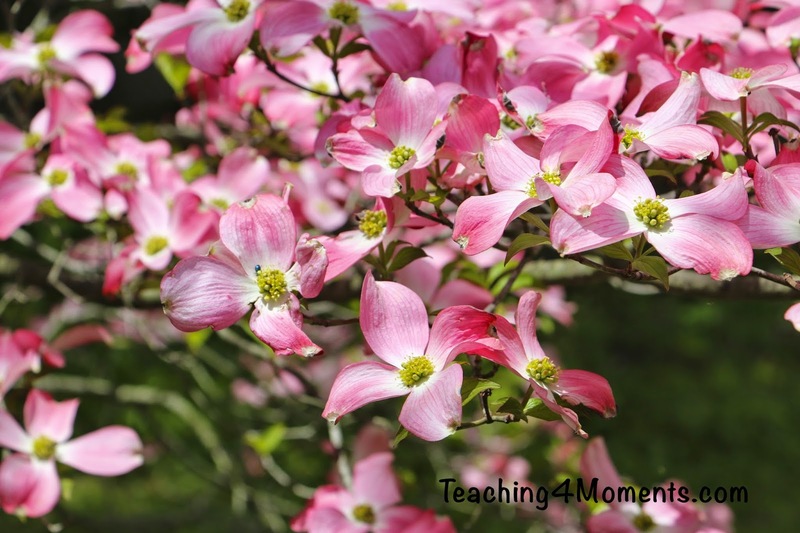 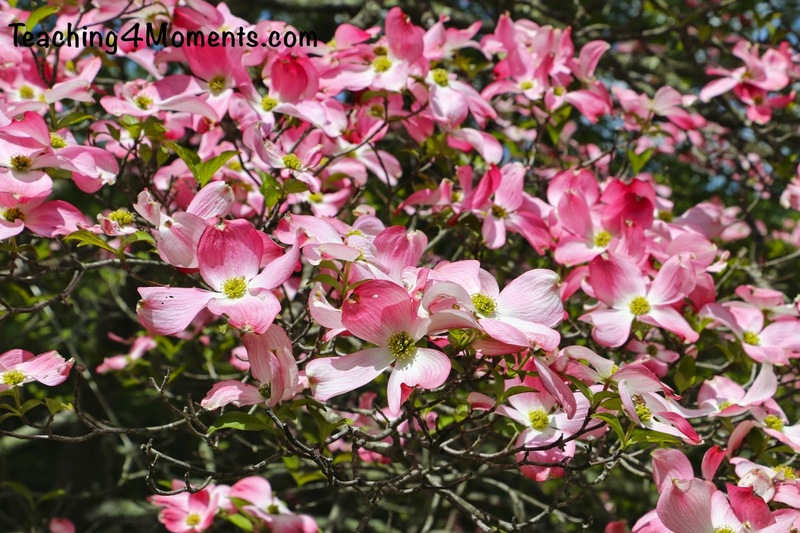 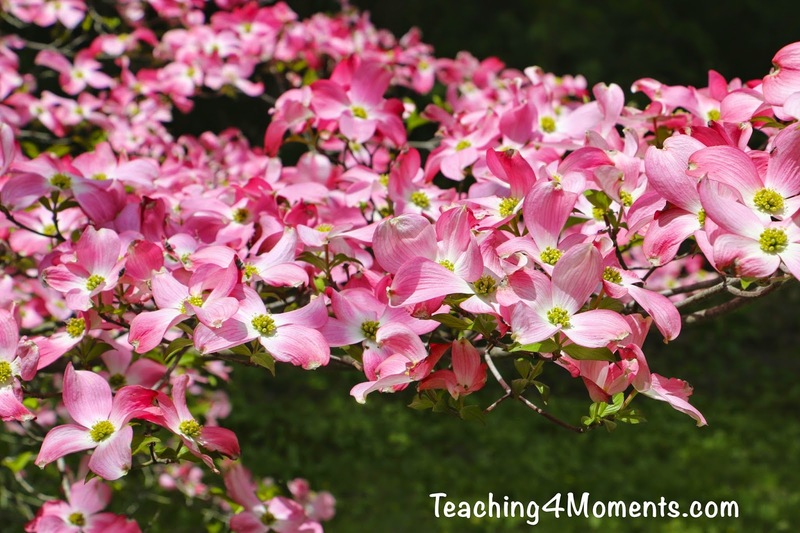 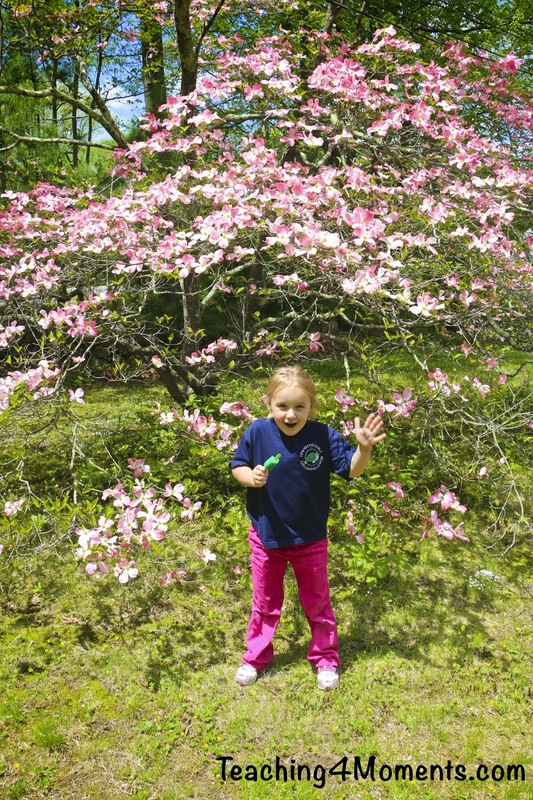 Enjoy the pink Dogwood flowers! 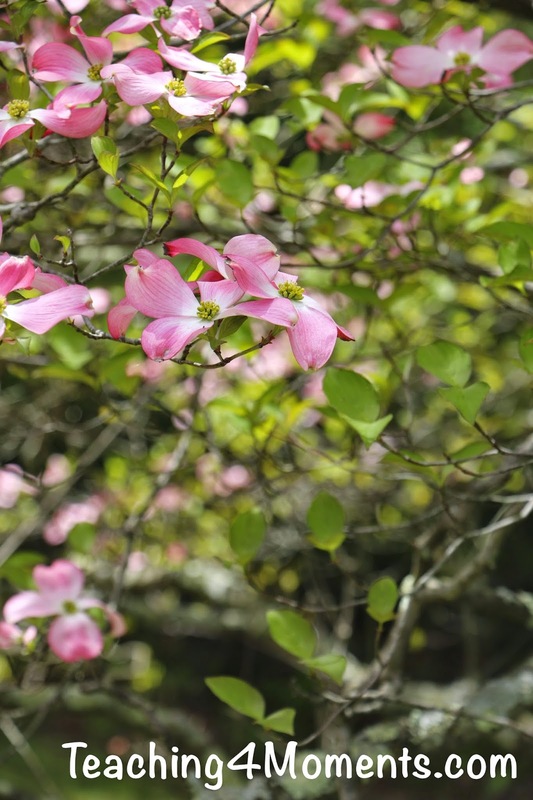 Do you have a Dogwood in your yard?